Disclaimer: I am not a lawyer. I do not provide legal advice nor can I represent you! 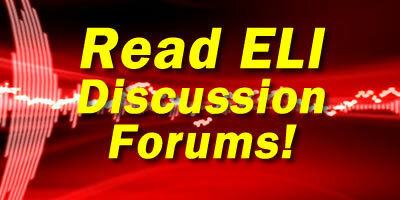 For years, I provided free information and commentary through the ELI Forums and ELI Video updates. During this time, I encouraged people to do their own research here and get their information for free. However, no matter how many times I said this, people would continue to call and email me wanting my help. I have always tried to be polite about my refusal to speak or email with people wanting my help simply because ELI has always been a side project, not a source of business income. Inevitably, after years of resistance, I finally gave in to the idea that there will be people who prefer or need to speak to someone to get help and assistance and they are willing to pay for that service. Some want the personal assurance of speaking to a live person. Some find that it is much more time-efficient to speak with someone that has followed the copyright troll industry for the last decade. Some simply want to be heard as they navigate their response options. Regardless of the reason, I understand some want or need personalized service and I have taken steps to accommodate this. I decided the best way to provide phone support to those who really wanted or needed it is to set up a support call program. Earned monies are used for various resources such as web hosting, domain registration, video-editing software, PACER fees to access court documents, and most important of all, the enormous amount of time I put in (and subsequently taken away from my other businesses) to maintain the ELI presence. Since many people have been persistent in requesting personal ELI assistance from me, I require a nominal Paypal payment before I can speak with you. The response has been very good because we cover a lot of ground, material, issues and scenarios in a short amount of time. It is a no-BS phone consultation where I give a fast-paced, crash-course of the most important and relevant information to the person I am speaking with. No two ELI phone support calls are ever the same. No one has spent more personal time in the last 10 years on the subject of extortion letter defense than I have. However, please understand that I am not a lawyer, I do not provide legal advice, and I cannot represent you! 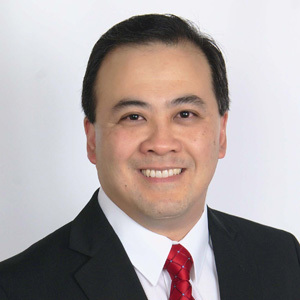 I recommend Oscar Michelen if you want legal representation. But I am well-versed in legal self-representation and have done so in various business and legal matters in my career. I can also direct you to legal resources should your situation warrant it. There are no prerequisites to enrolling into the 30-minute ELI Phone Support Call with me. However, I disclose that I am not a lawyer. I do not provide legal advice nor can I represent you! Whether you have done lots of reading and research beforehand or you have done no homework, it will be an intense, no-nonsense, information-packed 30-minute (sometimes a bit longer) conversation. Of course, it is very helpful if you have some basic familiarity with the issues of extortion letter defense but it isn’t required for the ELI Phone Support Call. Most of this is freely available on the ELI Forums. I am not a lawyer and I cannot legally represent you. I also cannot give you legal advice. If you know you want or need legal representation, go to Oscar Michelen’s Copyright Legal Defense & Representation Program page for more information. Oscar and his staff will take care of you. However, if you are uncertain which direction to go and course to take, the ELI Phone Support call will quickly give you clarity. To sign up for the 30-minute ELI Phone Support Call with Matthew Chan, follow these instructions. 2. Please scan (preferably in PDF file format) your extortion letter, attorney letter, collections letter, and any other correspondence and email them and your phone number to: matt30060@gmail.com. No scanned extortion letters, no phone support call. Matthew will review your case before calling you. (Disclaimer: Matthew does not provide legal advice. He will provide you an overview and analysis of your personal situation, outline & evaluate your options, and give suggested courses of action.) Due to the volume of help requests, any emails or telephone messages asking for “just a few minutes” or “quick help” will go unanswered. ELI Support Calls are NOT my primary line of business. It is a side business project. As such, I fit ELI Support Calls into open slots during my workday. If I have an extraordinarily busy or exhausting day, I don’t do ELI Support Calls. If I am sick with a cold or flu, I won’t do ELI Support Calls. I don’t do ELI Support Calls on weekends and most U.S. holidays. I do tend to make ELI Support Calls during weekday afternoons (1pm – 6pm Eastern Time) but that is NOT an absolute rule. I try to call people back as quickly as I can (generally within three (3) to four (4) business days on a first-pay, first-callback basis) but unexpected things do come up which could occasionally make the wait time longer. I will generally send a response email of the estimated wait time. If I cannot reach you, I will certainly leave you my number and have you call me at a time better suited for you. Please don’t ask to set specific appointments, I cannot commit or promise specific times. However, I will make every attempt to call within requested time-ranges that is convenient for you.